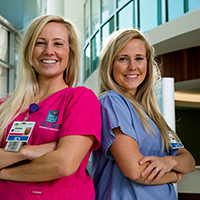 At Overland Park Regional Medical Center, we believe nursing is more than a profession, it’s a calling. 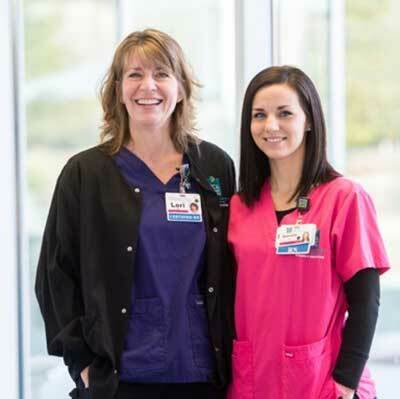 Every nurse you’ll meet here answers that calling with not just skill, but with compassion, empathy, and total commitment to healing— the true heart and soul of caring. To us, nursing is far more than just delivering the treatment to make a patient better, it’s delivering it in a way that makes that patient feel comfortable, safe and valued. I couldn’t be more proud of these impressive accomplishments. They reflect teamwork, skill and a commitment to quality patient care and optimum outcomes. 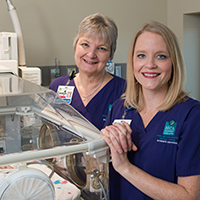 But they are only part of what nursing is about at Overland Park Regional Medical Center. 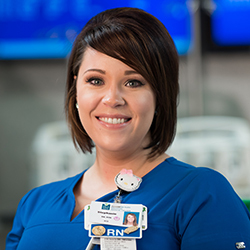 Nursing here is ICU nurse Stephanie Wasson staying late to comfort a patient’s family member because she remembers her own family’s fear when she was in the ICU fighting for life. 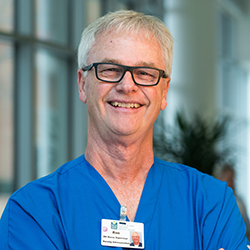 It is a hand on the shoulder of a patient and the calming words, “you’re going to be okay.” It’s the routine appearance of our senior most leaders doing patient rounds together, and so much more. Quite simply, it’s different here, and our nurses are a huge part of that difference. While many will tell you of their core values, we live them.